In the vein of Jonah Goldberg’s Liberal Fascism comes a scathing and reasoned critique of the politics of liberal compassion—and why liberals’ lack of interest in the results of their policies renders them unfit to govern. For decades, conservatives have chafed at being called “heartless” and “uncaring” by liberals, without ever challenging this charge. Instead, they’ve spent their time trying to prove that they really do care. Now, political scientist William Voegeli turns the tables on this argument, making the case that “compassion” is neither the essence of personal virtue, nor the ultimate purpose of government. Voegeli explores various programs that have become battlefields between Conservatives fighting for more efficiency, and Liberals fighting for the status quo. 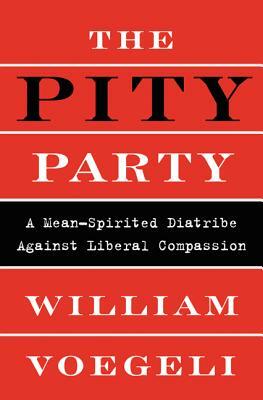 Along the way, he explains the philosophical underpinnings of the Liberal project that created and reinforce this misapplied ideal of compassion, and why, without a major change, Liberals must be considered unfit to govern. William Voegeli is the author of Never Enough: America's Limitless Welfare State, a visiting scholar at the Henry Salvatori Center at Claremont McKenna College, and a senior editor of The Claremont Review of Books. His reviews and articles have also appeared in City Journal, Commentary, First Things, the Los Angeles Times, National Review, and The New Criterion. He was formerly a program officer at the John M. Olin Foundation. Voegelli lives in Claremont, California. A brilliant turn of a phrase with every turn of a page. Literally.